Tell us something about your company MULTIROTOR? Can you describe about your MULTIROTOR products? What is the main reason behind the success of MULTIROTOR? What are the unique factors that influence the customers regarding your products? What measures do you take to solve the customer issues? 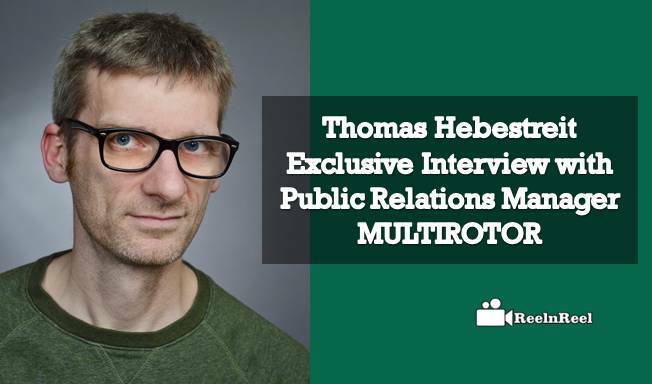 Thomas Hebestreit, Could you please Explain success model of MULTIROTOR? Can define something about the product of MULTIROTOR G4 Surveying-Robot? The company founded in March 2011 has made it right off the bat with more than 700 systems sold to become the industry leader in the field of professional multi-rotor drones for commercial and institutional use. In the autumn of 2014, the company won the ARTIE Innovation Award with their newly developed MULTIROTOR G4 flight control system and successfully claimed the top spot of innovative industrial applications with the likewise newly developed surveying flight robot, the MULTIROTOR G4 Surveying Robot. There has been an OEM partnership with the US geodesy world market leader Trimble since summer of 2015. MULTIROTOR supplies Trimble with the surveying flying robot Trimble ZX5 and is, therefore, the world’s largest drone manufacturer for surveying drones. The MULTIROTOR UAS are already 4th generation. As we were one of the first movers in this market we have already a very well developed and proven system range available ranging from small systems for surveying to heavy lifters for industrial usage. The main reason for the success is our own flight control software. For example up, to 512 times per second, it controls and corrects the position in the air. As the available systems didn’t meet our required standards we decided to build our own system. The high reliability of our products with about 800 systems in use worldwide is very important to our customers. Since we introduced our own flight control we had no reported crashes caused by the system. Furthermore, the wind stability of 15 m/s is very high. Our UAS do also work in difficult circumstances like thin air. We successfully tested our system up to 4700 meters above sea level. We offer complete packages that are ready to fly out of the box. Many solutions are tailored for specific applications, like our G4 Surveying-Robot for surveying engineers. In addition to the packages, we offer special training so our customers are ready to effectively use their new UAS right from the very beginning. Our power seller is the MULTIROTOR G4 surveying robot. It is easy to use and an impressive tool for surveyors. It saves time and enables the engineers to offer additional services like 3D models to their clients. We are developer and producer of our UAS with our own flight control. That way we can guarantee quality made in Germany and make sure that the flight control is up to our standard.